As Americans celebrated Mother’s Day 2011, I doubt many were thinking about any connection between their Mom and budget negotiations in Washington. Mother’s Day became a national holiday by way of a resolution passed by Congress in 1914. Although since then the country has grown to become the world’s undisputed superpower, at the same time key social realities that helped enable us to get to this point have changed and eroded. In 1914, the total take of government at all levels – federal, state, and local – was less then ten percent of the American economy. Today it is close to forty five percent. Beyond the obvious economic and fiscal dimensions of this, this change reflects important shifts in basic attitudes of Americans toward life in general. Although individualism has always defined American life, few would ever have denied that the social aspects of our lives are as vital and fundamental as the individual aspects. What really has changed is how a large part of our population now sees these social aspects. There’s been a shift in the center of gravity from family to government. Increasingly Americans have come to see government rather than family as the institution through which we primarily help each other. As we’ve given government increasing responsibility for our lives – our health care, our retirement, our housing, educating our children – the American family has correspondingly unraveled. Over the last fifty years, according to a survey published by the Pew Research Center last year, the percentage of American adults (those over 18) who are married declined from 87 percent in 1960 to 64 percent in 2008. Thirty nine percent, according to the survey, now say that marriage is becoming obsolete. The percentage of babies born outside the framework of marriage to unwed mothers increased from 5 percent in 1960 to 41 percent today. Medicare and Medicaid were born in the 1960’s. Although Social Security began in the 1930’s, it expanded significantly beginning in the sixties. The mindset that drove the creation and growth of these entitlement programs was that government could provide the answers to life’s difficulties and vagaries. Government could assure health care for the elderly and the poor and could assure income in retirement. Now these programs are the main sources of our fiscal crisis. Family once provided the main framework to contend with life’s challenges and uncertainties. Parents bore responsibility for their children’s economic welfare and passed on to them traditional truths about how to live. Children took care of elderly parents. With the collapse of family, we’ll see more and more elderly alone. There will be increasing need for government care and, as we see today, diminishing ability to pay for it. These dismal realities stand out most boldly in minority communities where government has played the largest role. The percentage of black adults that are married has declined from sixty one percent in 1960 to thirty two percent today. The percentage of black children living in households headed by an unmarried parent has increased from two percent in 1960 to forty one percent today. 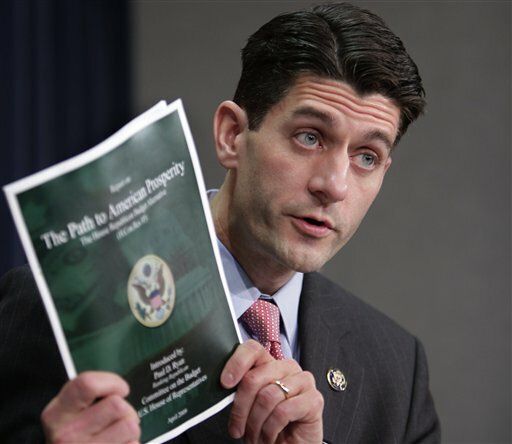 Congressman Paul Ryan (R-Wis), head of the House Budget committee, boldly put together a budget plan, passed by the House, that courageously changes Medicare and Medicaid to reflect the truth that the entitlement model has failed. But unfortunately the country doesn’t seem ready for the truth. It appears that Republicans will put this bold plan aside to get other spending cuts in negotiations with Democrats on the debt limit. Perhaps the nation needs more time to understand that at the root of our economic crisis is a social crisis. We need our mothers and we need the American family. This should be on the agenda for the 2012 presidential election.